William D. Johnson, J.D., is an international corporate lawyer practicing in Los Angeles, CA. He holds both an undergraduate degree from Brigham Young University, where he majored in Japanese, and a law degree from Columbia University. He has been married for 30 years and has five children. As Chairman of the American Third Position, he serves the purpose of speaking on behalf of the party, and championing its sensible and just policies before the American people. He is also, more than any other, responsible for safeguarding the course, values, and program of the party. 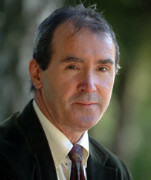 Kevin B. MacDonald, Ph.D., is a professor of psychology at California State University, Long Beach. 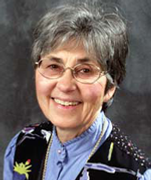 MacDonald is the author of seven books on evolutionary psychology and child development and is the author or editor of over thirty academic articles. He received his B.A. from the University of Wisconsin–Madison in 1966, and he received an M.S. in Biology from the University of Connecticut in 1976. He earned a Ph.D. in 1981 (Biobehavioral Sciences) from the University of Connecticut. As a director of the American Third Position, he influences the course of the party and provides guidance to both the chairman and the president. 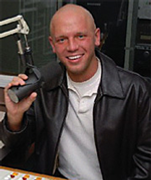 James Edwards is best known as the creator and primary host of The Political Cesspool Radio Program, an award-winning broadcast that has gained national attention for conducting interviews featuring columnist Pat Buchanan, author Jerome Corsi, rocker Ted Nugent, and countless other headliners and newsmakers. Mr. Edwards has made numerous appearances on CNN, while the show itself has been the subject of articles in the Los Angeles Times, the London Times, Newsweek, and many other major print publications. James has been named an “Honorary City Councilman” by the City of Memphis, Tennessee, while his radio program received a certificate of recognition from the same city council for “Outstanding Contributions to the Community.” He has also served as a newspaper contributor and is a licensed pilot. Tom Sunic, Ph.D. (www.tomsunic.com), is a former professor of political science, a scholar, a prolific writer and an accomplished linguist in Croatian, English, French and German. A number of themes emerge in his books and numerous essays: religion, cultural pessimism, race, liberalism, democracy, multiculturalism and communism. 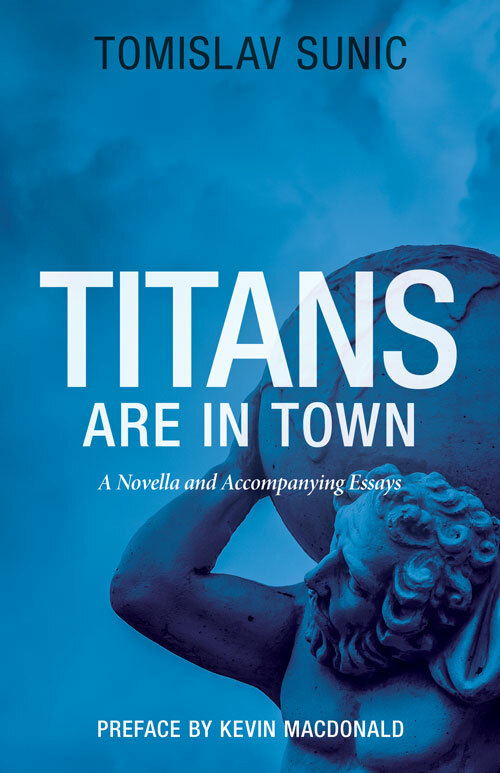 From the vantage point of a European-American observer who has experienced the reign of liberalism and communism on both sides of the Iron Curtain, Dr. Sunic offers insights into Western and post-communist and post-liberal societies and culture. He received his B.A. from the University of Zagreb in Comparative Literature and Foreign Languages in 1977 and 1978. He received an M.A. in International Affairs from California State University, Sacramento, in 1985. He earned his Ph.D. in 1988 from the University of California, Santa Barbara. He has been doing research on the meaning of modern political discourse and new forms of intellectual censorship. 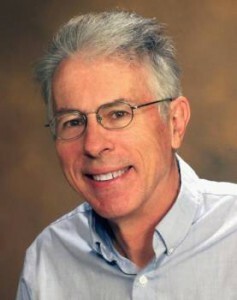 Dr. Abernethy is a professor emeritus of psychiatry and anthropology at Vanderbilt Medical School. Her interdisciplinary post-graduate training in anthropology expanded into studies of human population and the interface of culture, population, and the environment. For 12 years, she was the editor of the ecology and social science journal, Population and Environment. Abernethy is an expert regarding the “Demographic Transition” theory, the idea that fertility rates are automatically reduced with economic or social improvements. Dr. Abernethy is a member of the Board of Directors for Carrying Capacity Network. Dr. Abernethy received her Ph.D. from Harvard University; M.B.A., Vanderbilt; and B.A. from Wellesley College. Adrian Krieg was born in St. Gallen Switzerland. He attended HS Pembroke Academy (Suncook NH) class valedictorian. He also attended Elmhurst College, University of Mexico (San Miguel De Allende campus). Dr. Krieg is a certified Manufacturing Engineer. (CMFGE) U.S. Army Message center, Bi-lingual communications, served with nuclear artillery in Germany top-secret clearance. World University Cultural doctorate in Manufacturing Science. Dr. Krieg holds many U.S. Patents. Presently he is Co-Chair Political Science Department World University Roundtable. Dr. Krieg is a contributing writer and on the editorial board of The Nationalist Times, and is a frequent contribution columnist to: The Edgefield Journal, Media Bypass, The Nationalist Times, Schweizerzeit (Swiss), Current Concerns (Swiss), The Free American, Culture Wars, The Portman Papers (UK) Taxing Times, and others. Dr. Krieg has been the guest on over 350 radio and TV shows and has been interviewed by: The Wall St. Journal, The Hartford Currant, The Waterbury Republican, The Nationalist Times and many others. Jamie Kelso is our membership coordinator. Kelso was born in New York City to parents from Nebraska and Missouri of Scottish and German ancestry. He is an Eagle Scout and member of MENSA. He ran for Congress as an Independent in the 5th Congressional District of Missouri in 1976. He is a former member of the John Birch Society. He is an artist and musician, working in painting, etching, and engraving, and has sung tenor leads in opera, musicals, and lieder. Don Wassall was the Executive Director of the Populist Party of America from 1987 to 1995. He managed the Populist Party’s presidential campaigns in 1988 and 1992 and is experienced in all areas of third party organizing. He founded and has been the Editor of The Nationalist Times monthly newspaper since 1985. He also currently serves as Executive Director of the American Nationalist Union and is the administrator of ANU.org, ANU News.net, and Caste Football.us. Wassall received his degree in Political Science from Pennsylvania State University and his Law Degree from the University of Pittsburgh. Alex is a solo practicing attorney in the Metro New York area, specializing in civil litigation and constitutional issues. Born in 1975, he has been active in our cause since 2000. Alex became an attorney to work on behalf of our people, having handled many critical legal matters to that end since. He serves as both a director and in-house counsel for A3P. Alex has worked on numerous campaigns, including as manager, for local, state and national level elections. Prior to joining A3P in the spring of 2010, he was affiliated with various political organizations and political campaigns. Alex recognized then as now that A3P is on the only viable entity for promoting the interests of White Americans.